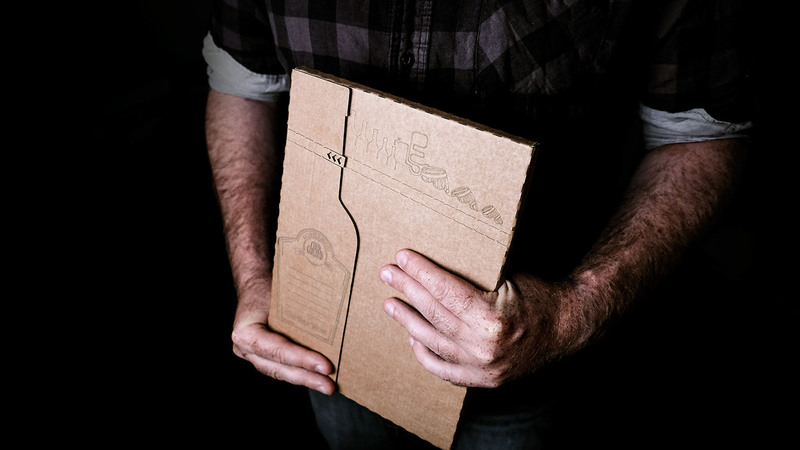 The design challenge with Irish Whiskey Magazine was to create custom packaging that would be durable enough to sustain international shipping, lightweight – so as not to add further shipping costs – and experiential to add value to the user experience. 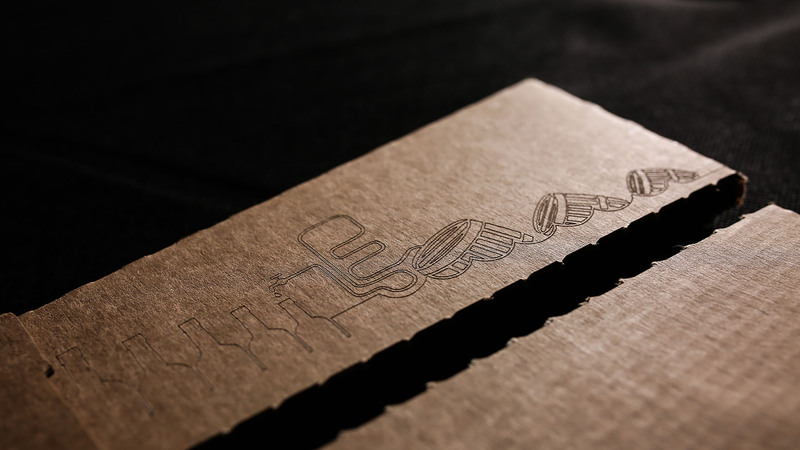 The result was a custom package made from 1.7mm corrugated cardboard with a laser cut etching of the whiskey distilling process – from grain to bottle. The brief called for the following considerations: sustainability; experiential design; a craft/authentic element; and the subtle inclusion of logo/branding on the exterior. The packaging is made from corrugated cardboard, thus making it sustainable, and the end user is subtly guided through the whiskey-distilling process, from the grain to the bottle, via the perforated strip. 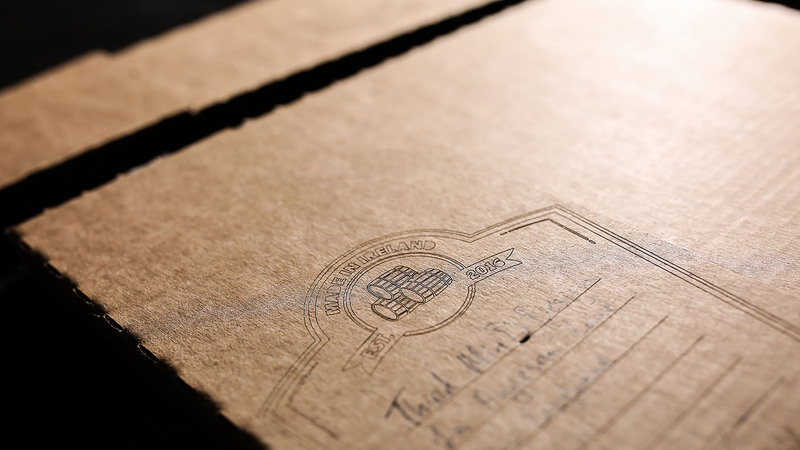 The whiskey journey is etched onto the envelope, above the perforation. It begins with the barley and continues through the pot stills, before eventually reaching the bottle, which is the full size of the envelope. The label on the bottle doubles as the space for the address label. Once the end user tears off this perforation, the top of the magazine is revealed and the slight vacuum effect that is created as the magazine is pulled out slows down the initial unpacking of the envelope and makes it more of an experience to open. The entire graphic on the envelope is laser cut, giving it a craft element. The Irish Whiskey Magazine branding is incorporated into the bottle on the packaging by using the slogan ‘The New Wave’ on the bottle label.